March 25, 2013 — With the supply of existing homes at or near a 10-year low in Northern Virginia, a growing number of my clients are opting to build their next or ‘dream’ home. Just one of the many decisions they need to make is how much of a home security system they want. If you haven’t looked into them, home security systems present a mind-boggling array of options. Hint: It’s not just about “home security” any more. Dip your ‘toes’ into the home security arena and you’ll soon learn the companies such as ADT, Guardian and Vintage package their services with data, home automation, “whole house” music, video monitoring, streaming video and yes, even central vacuum systems. The very best time to wire your home for some or all of the above options is BEFORE the drywall goes up. After that, you’ll no longer have easy and clean access behind the walls to the wiring you may need wiring. Even if you think about this before settlement, your builder may not allow changes after the final walk-through. That’s just another reason why it pays to think about these options well ahead of time and make your choices ahead of time. What follows is a short check list to consider beyond the logical things we think of when considering home security systems, e.g. sensors on doors and windows and password-protectyed keypads. I can help connect you with a company I’ve seen walk a recent client through all of these options. Just give me a call at 703-593-9432 or email me at andyadvantage@yahoo.com. Which Smart Mobile Phone(s) Do You Use? Most of these systems use technologies compatible with iPhones and Android platforms, maybe less so with Windows phones. If you want the flexibility of remote controls, be sure to know which ones work up front. Will there be multiple computers in the new house and if so do you want to network them? Which will you be using for your television signal: cable, satellite, Fios or a combination of them? Do you need DVR service now, or in the future? Will there be flat screen LCD or LED screens in the home? Have you considered glassbreak coverage around your sliding glass doors or French doors? Have you considered backing up your security system with motion detection? How about monitored smoke detectors on your security system? Do you need additional keypads, in master bedroom for example? 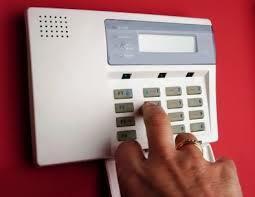 Do you wish to protect the telephone line to the alarm system? Thought about personal protection devices such as portable panic buttons, especially if you have aging parents living with you or children coming home alone after school? Are you considering using voice over IP? Do you want to distribute quality music throughout the house? In which rooms would you like to enjoy music ? Want access to free music services such as Pandora? Want access to streaming movie services such as Crackle and subscription services such as Netflix? Do you want the flexibility to listen to different music in different music at the same time? Will you have a home theater / media room in the house? Want to listen to local radio stations . . . in different rooms? Think you would ever want to draw music off of a friend’s iPhone using the songs on their iTunes account? Yep, they do that. Have you considered having a central vacuum system installed? Believe it or not, these systems can be configured along with all these other options.